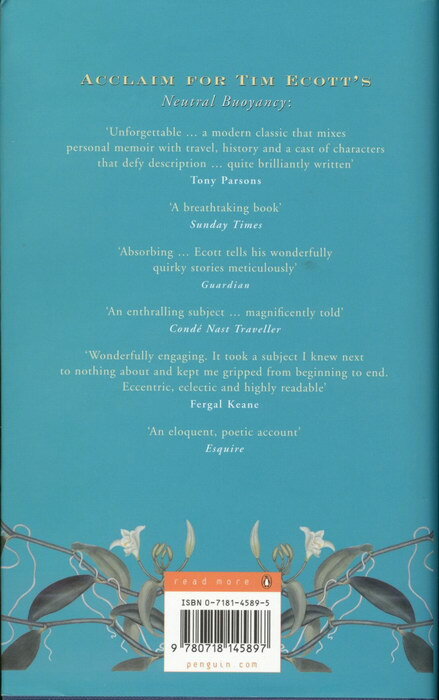 Penguin Books / Michael Joseph (2004). 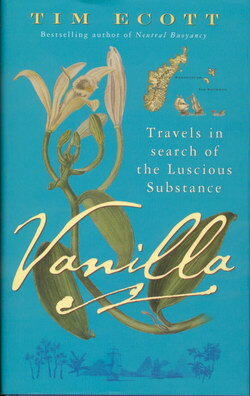 Vanilla, the world's most versatile flavour, thrives in some of the world's most intriguing places. Tim Ecott has spent years tracing its story from the Gulf Coast of Mexico to Madagascar, Tahiti, Reunion, Seychelles and around the botanical collections of Europe. The vanilla vine was a botanical mystery - a uniquely sensual plant, treasured by the Aztecs, but whose secret was only unlocked by a twelve-year-old African slave in 1841. Apothecaries, aristocrats, gourmets and parfumiers have all chased the aroma of the 'Luscious Substance', and the wealth it brings. Endangered in the wild, vanilla is now more valuable than at any time in history - a value that places it at the centre of a secretive multimillion dollar trade for which men are being murdered. Tim Ecott has sought out vanilla's rich history and in doing so has brought to life these fascinating, faraway, and misunderstood places. Confirming the promise of the author's debut, Neutral Buoyancy, this is travel writing of the highest order. Tim Ecott is a British author and journalist. After studying anthropology he went into the film industry before joining the BBC World Service as a producer and correspondent. A specialist on Southern Africa and the Indian Ocean states, he spent two years in Seychelles where he developed a parallel career as a dive leader. In 2003 he was script writer for Deep Blue, the feature length cinematic version of the BBC�s acclaimed Blue Planet series. Based in London, his journalism has appeared in numerous national and foreign publications. His first book was the best selling cult classic Neutral Buoyancy: Adventures in a Liquid World. Published in the USA with the alternative subtitle "Travels in Search of the Ice Cream Orchid".